The next review for Nice! 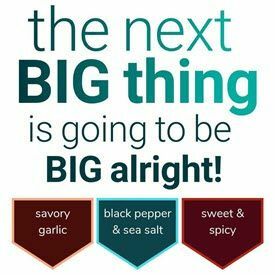 will be on a 3.25 ounce/91 gram bag of their BBQ Seasoned pork jerky flavor. This jerky was purchased at a Duane Reade store while visiting New York, New York, back in December 2013. Back in December 2013, while visiting New York, New York, I purchased this 3.25 ounce/91 gram bag of Nice! 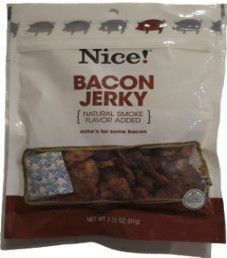 bacon jerky. 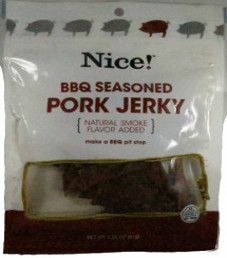 No flavor is stated on the bag, which means this flavor is defaulted to be an original flavored jerky. While visiting New York, New York in 2013, I purchased a 3 ounce/85 gram bag of Nice! jerky at a Duane Reade store. 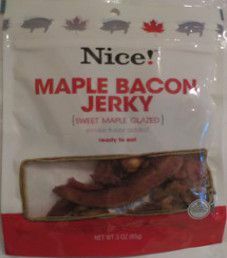 This review will focus on their Sweet Maple Glazed flavor for bacon jerky.